The Community Park is open from Dawn to Dusk. 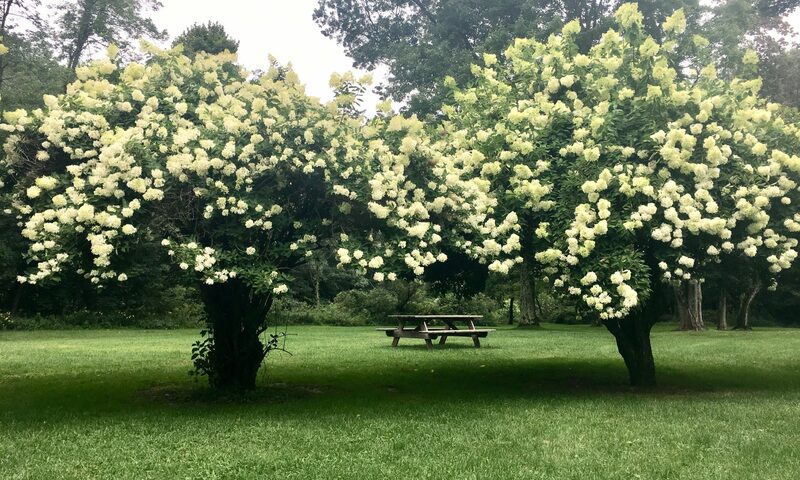 The Georgi’s 60+ year old Hydrangea trees flower in mid-August, with cascading pink and white blooms. 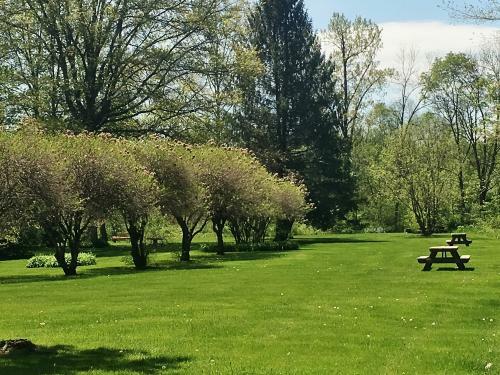 The Gardens are an ever-shifting showcase of blooms, and a variety of trees, including Oak, Chinese Chestnut, Apple, Basswood and Elm, provide shade on summer days. Public restrooms available from April through November. Pets must be leashed. Please clean up after your pets.